The hottest international independent magazine on the planet. Each month we are dedicated to putting indies on the map, in fashion design, modeling, music, films, authors, MUA's, producers, DJ's, directors, photographers etc. We always feature the best entertainment from around the globe. 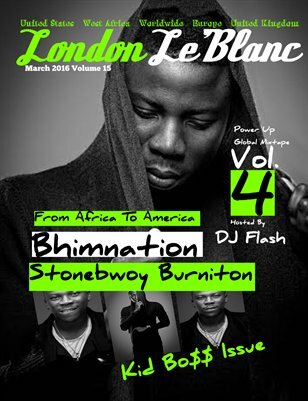 This month our cover feature is Stonebwoy Burniton, also featuring, A'Lelia and Bundles, Theodora Ibekwe, and "Kid Bosses" including 16 year old Cherry Gaza the youngest Ghanaian female Dancehall artist.